1. Tap and hold the column you want to hide. 2. 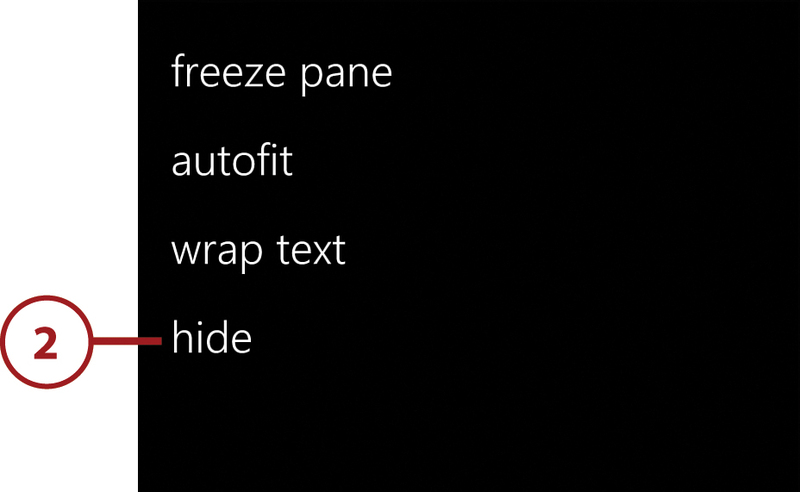 Choose the Hide option from the menu when it appears. You can reveal a hidden column at any time by tapping and holding the top row of the spreadsheet and then choosing the Unhide option from the resulting menu. 1. 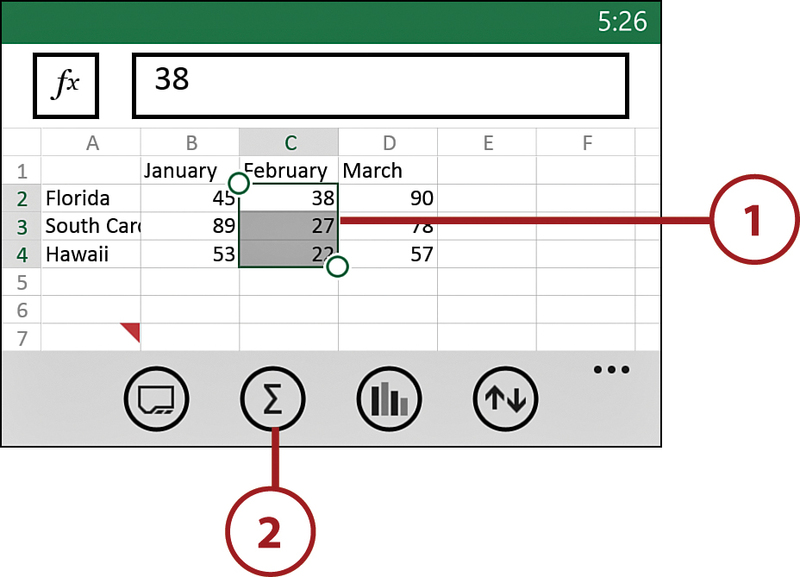 Tap on the cell where you would like to enter the formula. 1. 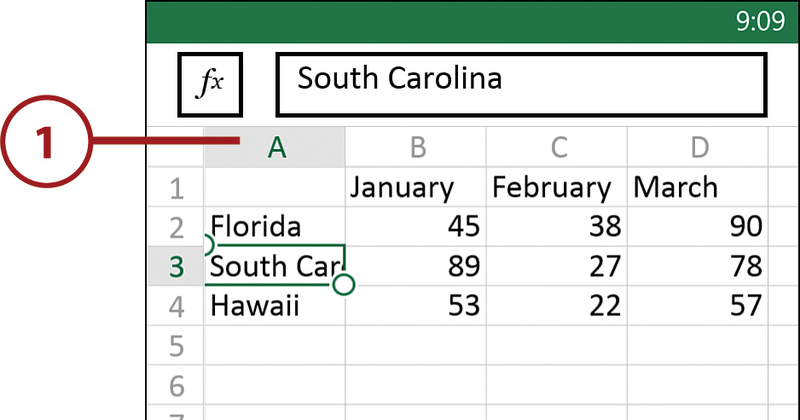 Select the range of cells you want to include in the results. 2. Tap the AutoSum icon. 3. Tap one of the available Auto-Sum functions. 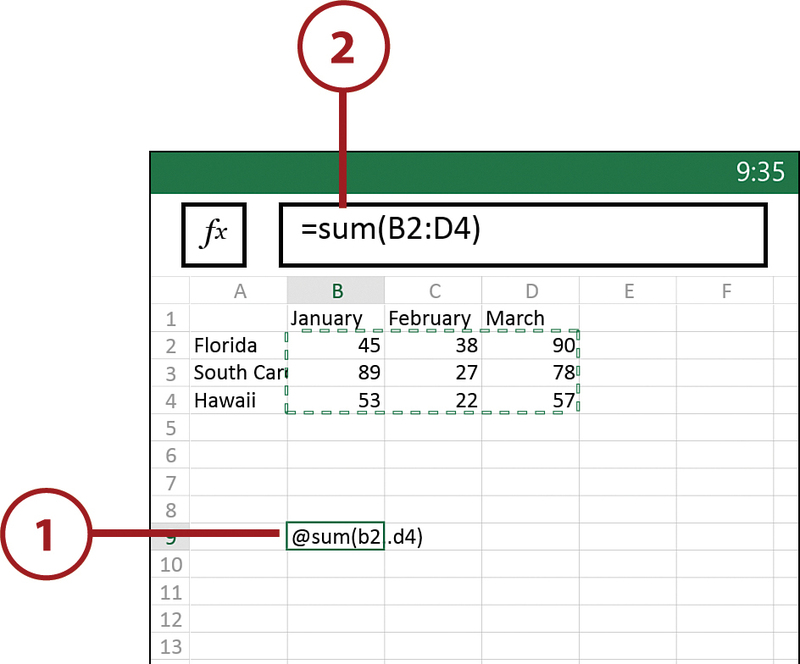 Notice that each one includes the result alongside the functions you can select.